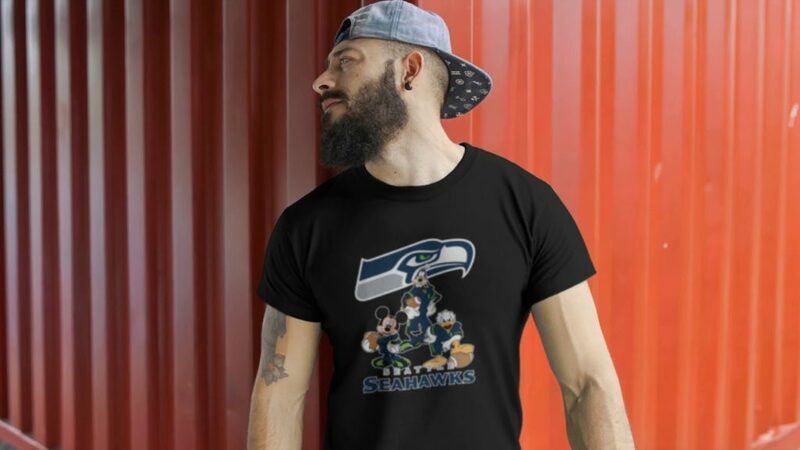 An awesome looking shirt with Disney characters for Seattle Seahawks fans. Mickey Mouse, Donald Duck, and Goofy are the three Disney characters that have been together for as long as many could remember. And now they are the Three Seattle Seahawks, dressed in the team color, each with their own football posing and looking tough. This is a sport for a team, so everyone needs friends to enjoy it. If you love Seattle Seahawks, this shirt is perfect for you to blend along with everyone.